How will Campus Bookstore Student Ambassadors be selected? Student Ambassadors will be selected through an application process. Applications must be submitted by the deadline stated. Top candidates will be selected for interviews. 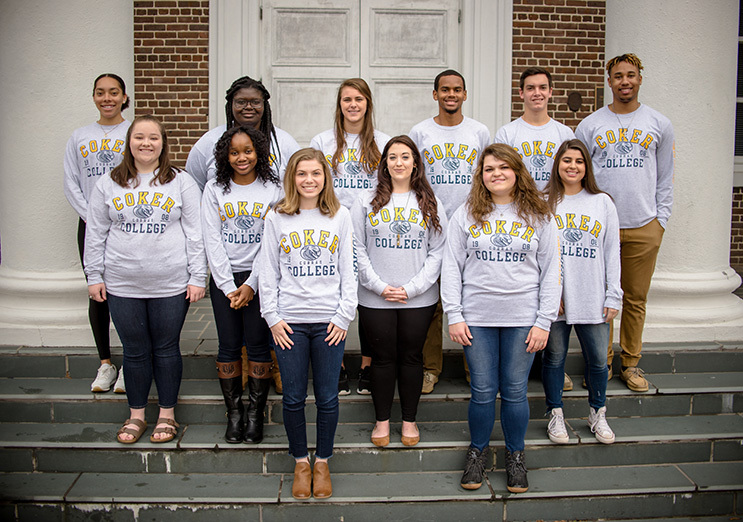 6 - 10 Student Ambassadors will be chosen to assist the bookstore team for one semester. Can Campus Bookstore Student Ambassadors assist the bookstore additional semesters? Students who wish to work consecutive semesters may be selected to do so dependent upon successful involvement indicated through monthly and final evaluations from previous semester. What are Student Ambassador responsibilities? Post on the bookstore’s social media accounts a minimum of twice per month. What benefits do Campus Bookstore Student Ambassadors receive per semester? Learn social media strategy to build your portfolio.